Many homeowners with mortgages are eligible for HARP, the Home Affordable Refinance Program. The Federal Housing Finance Agency (FHFA) program can help these homeowners reduce their mortgage payments considerably when they refinance. In an effort to approve more refinance applications, the FHFA has made it so that HARP now requires less documentation. The basic eligibility requirements are: you are current on your mortgage, the home is your primary residence, your loan is owned by Freddie Mac or Fannie Mae and it was originated before May 31, 2009. Learn more and use the eligibility tools available at HARP.gov to determine if you can refinance your home loan. The program ends on Dec. 31, 2018. 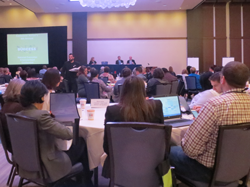 Last month, credit, housing and financial counselors from non-profits and community-based organizations (CBOs) across the country gathered in Chicago for Consumer Action’s 8th annual National Consumer Empowerment Conference. The conference then turned to controversial energy efficiency loans. Attendees heard stories of elderly long-term homeowners who qualified automatically for unaffordable Property Assessed Clean Energy (PACE) program loans that brought them to the brink of foreclosure. PACE loans are used to install insulated windows and solar panels and are repaid as an assessment on a homeowner’s property tax bill. There is hope when advocates work to control PACE loans in their state: Realtors, lenders and consumer advocates joined together to pass much-needed legislation in California this year to require that lenders disclose PACE loan costs upfront, consider borrowers’ ability to repay the loans and clearly explain how loans are financed. Some of the attendees at our 2017 National Consumer Empowerment Conference. Another session described the challenges surrounding the “gig” economy, a growing labor market offering short-term contract or freelance work as opposed to permanent jobs. Approximately one-third of workers are part of the gig economy these days (getting work through companies—“platforms”—like Uber, etc. ), with 16 percent operating full-time as so-called independent contractors. While there are pros to working in the gig economy (like flexible scheduling), these workers can suffer from a lack of employer-paid benefits. Presenters promoted the idea of “portable” workers’ compensation or other benefits that travel with a worker to different jobs. Additional sessions included one hosted by privacy advocate Pam Dixon, who warned of a “modern form of redlining” that occurs when unregulated aggregated risk scores are created about consumers based on where and what they’ve purchased over time using their credit cards. Dixon says these scores draw conclusions about us related to our race, religion, marital status and census tracts. She recommended that we regain some control over our data profiles by opting out of data sharing where possible. See the World Privacy Forum’s Top 10 Opt Outs list. The highlight of the conference came as day one wrapped up, with attendees breaking into teams to present their “wow and how” moments—key takeaways from the day’s sessions that wowed them, with thoughts on how they would present the information to their communities. CBOs drew pictures, designed learning games, created skits and entertained each other with new financial warnings and tips. Attendees listen raptly to presenters at the 2017 National Consumer Empowerment Conference. This year, two top members of the CFPB presented at the conference. The head of the Office of Servicemember Affairs shared some just-in-time tools that the agency created to help financially vulnerable servicemembers avoid being bilked. These included the Bureau’s online financial education comic book, Misadventures in Money Management. Another CFPB representative explained how essential consumers’ financial complaints are to the Bureau’s mission and informed attendees about some key enhancements to its complaint process (such as its new feedback survey, which asks consumers if a company has addressed their complaints and gives them space to explain if a firm did what it said it would do). 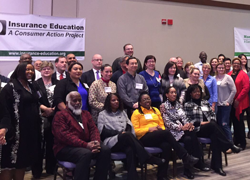 Consumer Action appreciates the corporate sponsors, including Citi, TracFone, 1-800 Contacts, JPMorgan Chase, Microsoft, Comcast NBCUniversal, American Express, Enterprise, Walmart and Wells Fargo, whose donations allow CBOs to attend the National Consumer Empowerment Conference at no cost. Non-profit housing counseling agencies and other community groups sometimes struggle to fund professional development training for staff and volunteers. Staff are often limited in what types of educational opportunities they can pursue, while agencies find themselves asking how they can augment core staff learning in the most cost effective way. One valuable resource that could help consumer advocates navigate this dilemma is the Counselor’s Corner on the U.S. Department of Housing and Urban Development (HUD) Exchange website. Our staff recently discovered the helpful resource after attending a Counselor’s Corner webinar on disaster preparedness and recovery. The Counselor’s Corner is a free one-stop shop of tools and resources for housing counseling professionals. We uncovered webinars, training videos and tutorials on the site, which provides industry updates and helps housing counselors to make informed decisions. Some of the topics discussed on the site and in online learning events include pre-purchase counseling, homeownership preservation and financial capability. Consumer Action’s Audrey Perrott points to a valuable disaster preparedness resource she discovered in October while attending a Counselor’s Corner webinar, Disaster Road to Recovery. The session provided a comprehensive look into pre-disaster preparedness and post-disaster management in the event of hurricanes, floods and other natural disasters. It also outlined the types of responses that could be expected from major stakeholders in the event of a disaster, from individual homeowners to local and federal government. After the webinar, the Counselor’s Corner team sent out the webinar recording, a disaster preparedness resource guide, a link to the Federal Emergency Management Agency (FEMA) rumor control website for Hurricane Irma and the link to a Community Emergency Response Team training offered by Ready.gov. As with all natural disasters, scammers quickly go to work to exploit victims (particularly those looking to file home insurance claims or pay for home improvements), which makes it necessary for counselors, case managers and community advocates to be ready to counter the misinformation and direct disaster victims to appropriate community resources—something that the Counselor’s Corner prepares us to do. We advised her to dispute the charges on the credit card used to make the purchase and to report the seller to her state’s consumer protection authorities. (Find yours here.) The FBI also accepts complaints about counterfeit sellers at its Internet Crime Complaint Center. Juliana’s story presents an opportunity to discuss a much larger problem—counterfeit goods. According to the International Trademark Association, $460 billion worth of counterfeit goods were bought and sold last year. The association says that the “quality” of fakes has gotten so good that many people can’t tell the difference. Its UnReal campaign aims to educate young people about the issue, telling them about how these goods often are made in sweatshops that exploit workers and fund organized crime and terrorism. And of course, counterfeit products harm brand reputation and rip off consumers who believe they are purchasing the real thing. Even more alarming, counterfeit goods can contain dangerous elements, such as lead, skin-irritating nickel and even radioactive materials that endanger consumer safety. Sunglasses without UV protection and counterfeit “Viagra” containing potentially harmful substances are other examples of the types of fake products that can pose health threats to buyers. According to the International Trademark Association, “counterfeiting is the manufacture, import, export, distribution and sale of consumer goods that are not genuine but are branded to look identical to an authentic product. Counterfeiting also includes merely affixing the trademark or logo of a well-known consumer brand onto a product, even though it is not a direct copy.” Counterfeit goods include clothing, footwear, jewelry, purses, toiletries, home care products, food, alcohol, medications, cigarettes, electronic equipment and parts, airplane and car parts, movies, music and toys. Some brands that are counterfeited frequently include Burberry scarves; Lacoste shirts; Polo sweatshirts; Coach, Gucci and Louis Vuitton handbags; Ugg boots; and Nike sneakers. How can you tell a fake? For one thing, if the price for a “luxury” item (complete with fancy logo) seems too good to be true, it probably is. Counterfeit trademarked items may be sold on copycat websites designed to look like the company that produces them, on websites claiming to possess bargain or retail-priced products, and at street vendors. Beware of so-called luxury goods being sold at flea markets or on social media. If you buy a fake, don’t try to resell it. You could open yourself up to criminal prosecution. And if someone tells you that counterfeiting is a “victimless” crime, just think of Juliana, and everyone else in the counterfeit goods pipeline—from the product designers to the workers to consumers like you—who are all taken advantage of by the counterfeit industry. Each fall, Consumer Action chronicles the previous fiscal year’s advocacy efforts, educational and outreach activities, consumer engagement work, fundraising endeavors and more in our annual report. Our newest report, covering the period April 1, 2016 through March 31, 2017, is available for download now. The report reflects both the great progress that we, along with our allies, achieved during the last year of the Obama presidency, as well as the unexpected challenges we took on as a new, pro-deregulation administration occupied the Oval Office in the second half of the fiscal year. Months before inauguration day, with the fate of many consumer protections already sealed, we began the crucial work of identifying what would likely be in the administration’s crosshairs and strategizing our defense with coalition partners. From protecting the privacy of internet service provider (ISP) customers and promoting expanded protections for prepaid debit card users to pushing for greater language access for borrowers and defending consumer class actions, the advocacy section of the report highlights our efforts to hold the ground that had been gained nationally and in our home state of California. As the report reflects, anti-consumer sentiments in Washington didn’t hamper our educational, publishing and consumer engagement activities. The 2016-2017 fiscal year saw our outreach staff visit eight cities and train hundreds of community organization staff on the most effective use of our consumer education materials. Our trainers reached hundreds more through a series of webinars—an educational avenue we are embracing more each year. New publications produced by our editorial team covered topics of importance to consumers, including how to evaluate your insurance coverage, get connected with low-cost broadband internet service, shop safely online and find the right job training school. In addition, we updated a number of our most popular publications, ensuring that our growing library remains current. Among the many statistics in the report is the fact that Consumer Action filled 1,382 requests from community-based organizations for 392,897 free, printed copies of our multilingual publications, with many thousands more being downloaded directly by consumers from our websites. Strengthen fair mortgage lending, don’t weaken it. Advocacy groups, led by the National Community Reinvestment Coalition, are opposing legislation that would exempt many mortgage lenders from critical reporting requirements mandated in the Home Mortgage Disclosure Act (HMDA). The legislation would allow those lenders that originated fewer than 1,000 home loans in each of two preceding years to avoid reporting loan details to regulators. In a letter to members of the U.S. House of Representatives, the advocacy groups noted that, “The stark disparities in access to mortgage credit and the continued struggle for economic recovery in the communities hit hardest by the financial crisis call for a strengthening of our nation’s fair lending laws, specifically HMDA, not a weakening of them.” HMDA data exists to provide the government with critical information on whether or not eligible borrowers are receiving equitable access to mortgage credit regardless of their color, gender, etc. Regulators lacked this data a decade ago (when the housing crisis hit) and advocates argue that now is “not the time to limit the nation’s ability to adequately assess the reasons for restricted credit access for underserved borrowers.” Learn more. Updated protections needed to protect servicemembers from financial predators. Consumer Action has joined the National Consumer Law Center and other groups in a letter to the U.S. House and Senate Committees on Armed Services urging updated rules to protect servicemembers from predatory business practices. The letter points out that the Consumer Financial Protection Bureau (CFPB) has documented many instances of debt collectors harassing members of the armed forces, including threatening to contact commanding officers in order to coerce payment. Years ago, the Department of Defense (DOD) issued policy directives governing how members of the armed services must comply with debt collectors. However, these policies are nearly a decade old and do not reflect current federal consumer legal protections. The advocacy groups urged the committee to direct the DOD to review and update its policies in order to protect the financial health of servicemembers and their families. Learn more. Data “protection” bill does just the opposite. Following the massive Equifax breach that exposed personal information about millions of American consumers, members of Congress began to devise new legislation to protect consumers. Consumer Action joined the National Consumer Law Center and other groups in a letter pointing out that one seemingly well-intentioned effort would, however, actually weaken consumer protections. The Credit Access and Inclusion Act (HR 435) would reduce utility customers’ and tenants’ control over their own personal information by overriding stronger state and federal privacy protections. Specifically, the rule would amend the Fair Credit Reporting Act to permit utility companies and landlords to furnish consumers’ payment information to a credit bureau or other consumer reporting agency without regard to existing state laws that require consumer consent before the entities can share that information. Learn more. Cordray’s contributions to the agency and to consumers cannot be overstated: Under his leadership, the CFPB returned $12 billion to 29 million individuals. He and the Bureau helped to rebuild a broken mortgage market by improving home lending, servicing and disclosures. Cordray also made meaningful improvements in the credit reporting, debt collection and student lending markets (to name just a few). In addition, he created a first-class public complaint process at the CFPB, which has not only helped to hold companies more accountable but has also made the market fairer for consumers. With Cordray’s departure, we expect consumer protection will not be the focus of his replacement, Mick Mulvaney, appointed late last month by President Trump. The Trump administration makes no secret of its goal to foster an “anti-regulatory” environment for banks and corporations. And Mulvaney has never been shy about his disdain for the Bureau. A former member of Congress (R-SC), Mulvaney was serving as Trump’s Office of Management and Budget (OMB) director, a position that he has held on to (as of this writing) despite his appointment to lead the financial watchdog agency he has called a “joke in a sick, sad kind of way.” Mulvaney has pledged that under new leadership, the CFPB will be “dramatically different” and has already instituted a 30-day hiring and policymaking freeze at the Bureau. Consumer Action thanks Richard Cordray—one of our 2016 Consumer Excellence Award recipients—for his efforts on behalf of consumers and his judicious enforcement actions and rulemakings. He will be greatly missed by those who care about economic justice. The CFPB has sued the country’s largest provider of debt settlement services, Freedom Debt Relief. The company is accused of charging consumers to settle their debts without providing the service as promised, misleading consumers about its fees and services and requiring some customers to negotiate deals on their own in order to get out of debt. The CFPB also asserts that the debt settlement company failed to clearly inform consumers that they were entitled to get refunds of their funds on account if they left the program. The CFPB is seeking restitution for consumers, fines for Freedom Debt Relief and a halt to the company’s alleged deceptions. Thanks to the CFPB, many credit card companies and other lenders are giving you free access to your credit score. If you’ve received a free copy of your score, the CFPB wants to know how you accessed it, which company supplied it and if you found it helpful to learn your score. This is part of a Bureau effort to build awareness about free credit score access and to ensure the accuracy of the credit reports that they’re derived from. The CFPB has updated its list of free credit score providers. You can offer your feedback to the CFPB by Jan. 12, 2018. Close to half (42%) of all new auto loans made in the last year have a six-year or longer repayment term, according to CFPB research. This is a significant increase from 26 percent in 2009. Consumers are also borrowing more money on six-year loans—$25,000 on average versus $20,000 for a five-year loan. The CFPB found that those taking out six-year loans tend to have much lower credit scores. The Bureau warns that longer-term auto loans are riskier for borrowers because they are typically more expensive to repay and have higher rates of default. The CFPB cautions that since, on average, consumers own their cars for about six and half years, borrowers who opt to take out these longer loans may end up owing money on a car they have to sell or that is inoperable for some reason. Check out the CFPB’s helpful resources on shopping for an auto loan for help in understanding the full costs of buying a car, various loan options and what items are negotiable (before closing the deal). Class action settlements involving SolarCity and ADT were among seven new settlements added to the Consumer Action Class Action Database during November. Of note this month is the class action settlement Hankinson v. RTG Furniture Corp., dba Rooms To Go. The plaintiffs filed a class action against the furniture store Rooms To Go regarding the sale and fulfillment of its ForceField Protection Plans. The plaintiffs, who paid to add the ForceField stain protectant to the leather or fabric upholstered furniture they purchased, allege that Rooms To Go did not professionally apply the protectant as promised. Rooms to Go denied the allegations but agreed to a settlement to avoid the burden, expense and risk of continuing the lawsuit. You are part of the class if you purchased one or more ForceField Protection Plans during applicable dates (class periods). The class period for purchases made in-store is based on the state where you purchased the plan. The class period for purchases made online is based on the state where you currently reside. See page 4, section 8 here for the list of class periods by state. (B) A merchandise voucher for up to 45 percent of the total amount paid for the ForceField Protection Plans (up to a maximum amount of $125). If total claims for the checks exceed $13.5 million, each check claim amount will be reduced. The claims deadline is Jan. 15, 2018.